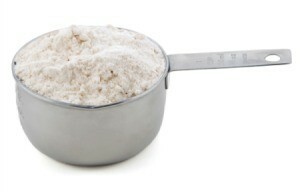 Of the several types of flour used for cooking and baking, all purpose flour is the type used most frequently. This is a guide about "what is all purpose flour?". Question: What is All Purpose Flour? All purpose flour is flour without any baking soda, baking powder, or salt added to it. Here in the United Kingdom, we have Plain flour or Self Raising flour. Can I Use Unbleached Flour in Place of Regular All Purpose?